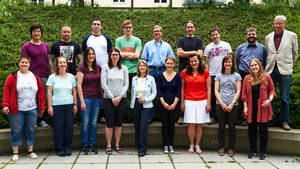 The Department of the Pathobiology of the Nervous System emerged in 2011 from the correspondent section and Univ.-Prof. Johannes Berger was appointed head of the department. Johannes Berger is a biologist who had formerly been employed at the University of Vienna. The departments major research focus is the elucidation of the role of peroxisomes in normal brain functions and in pathological conditions such as neurodegeneration, demyelination and neuroinflammation, with the ultimate goal of developing novel therapeutic strategies.